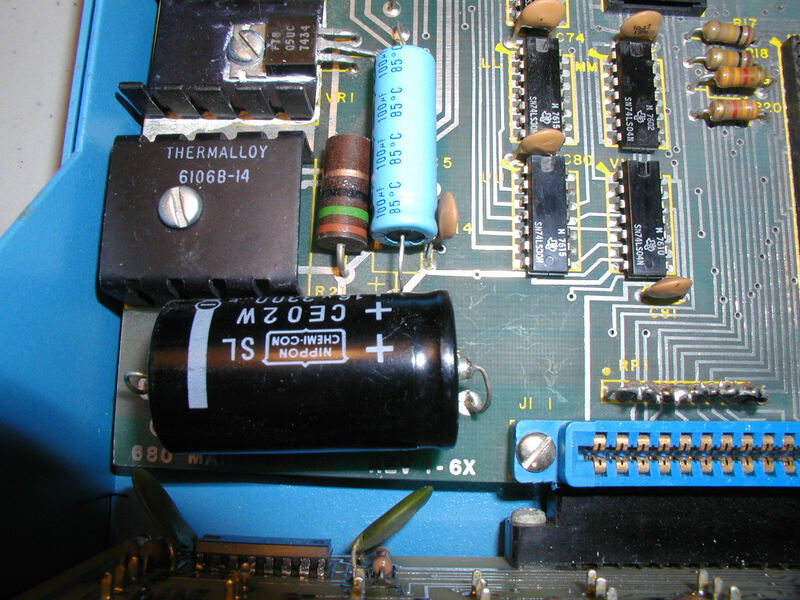 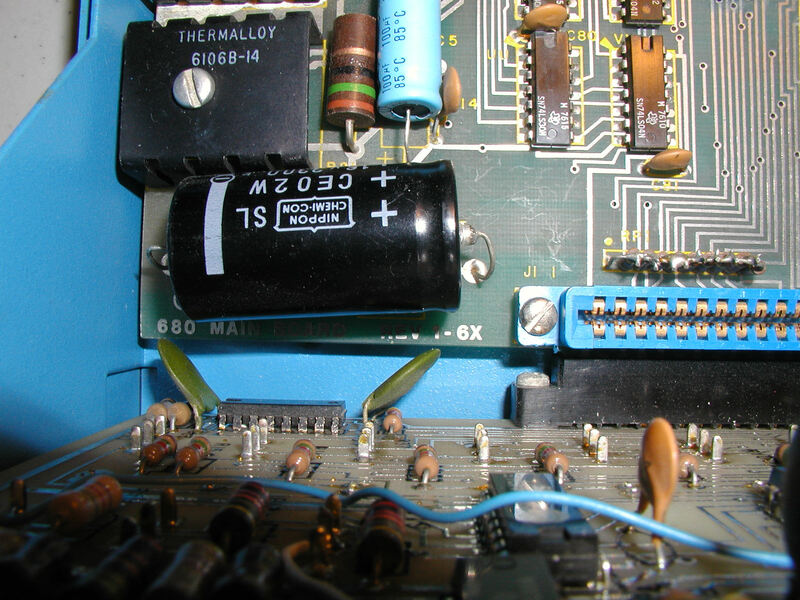 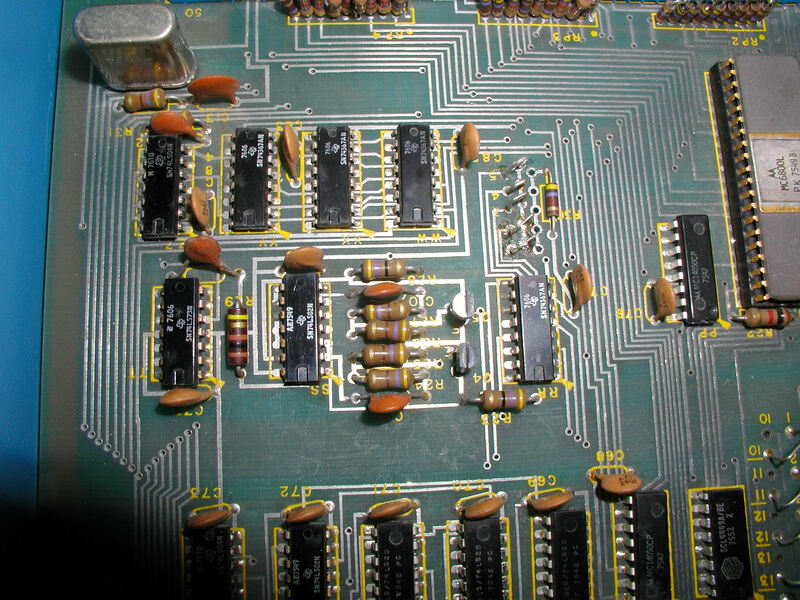 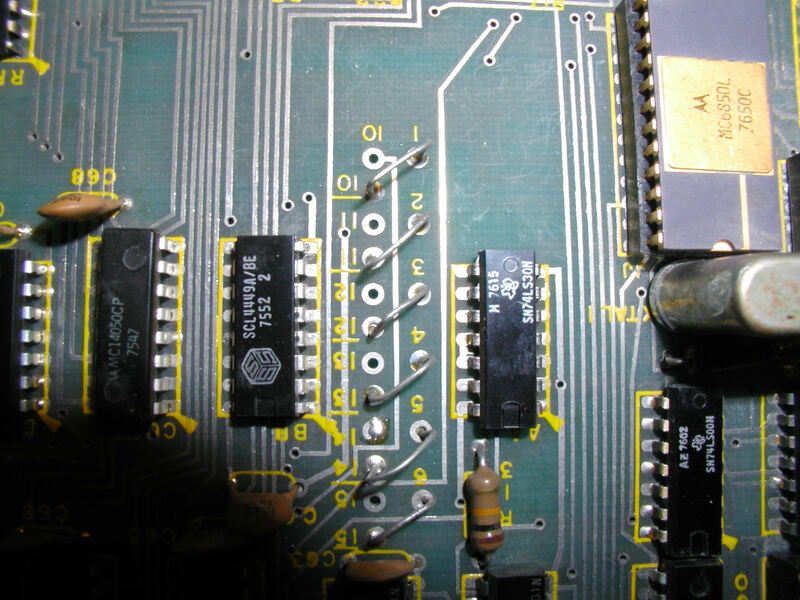 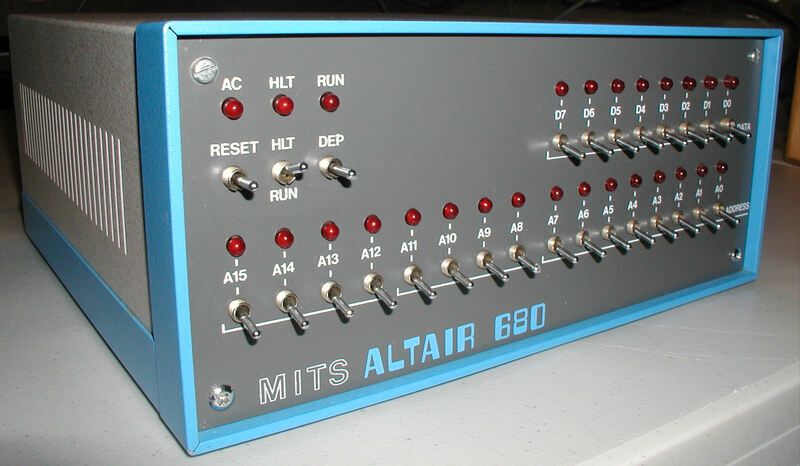 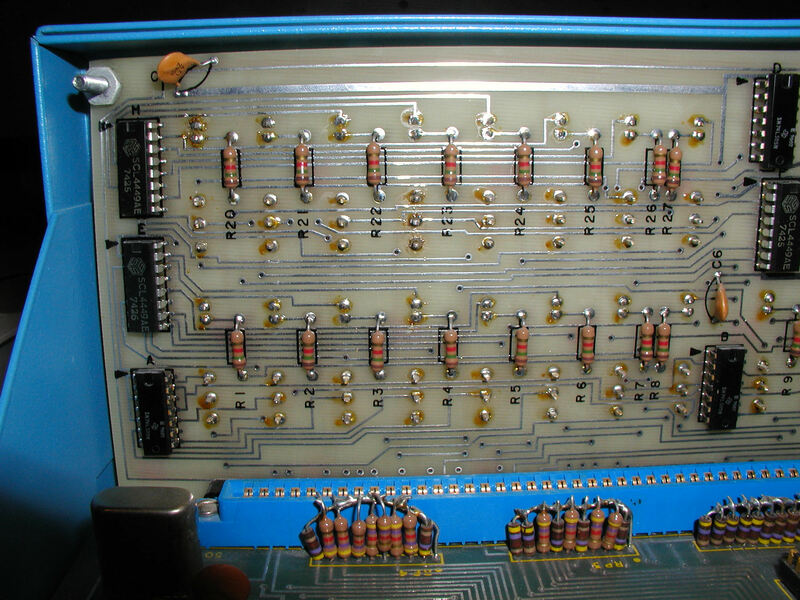 another front panel picture of MITS Altair 680.
front panel of MITS Altair 680 (grainy pic). 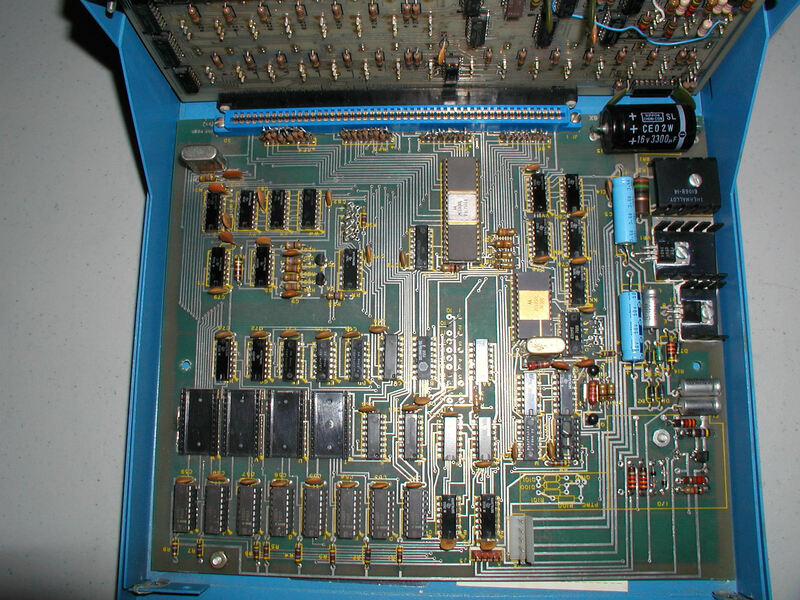 MITS Altair 680 Main board view. 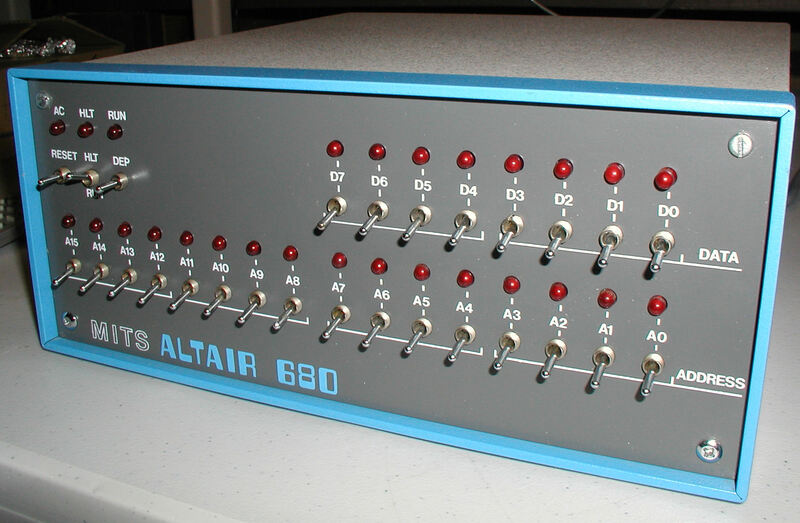 Altair 680 rear view. 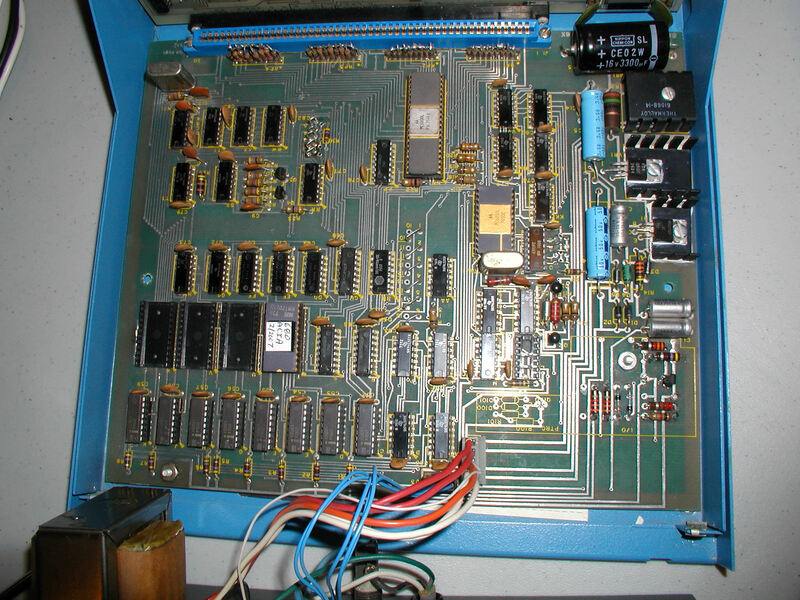 Apparently there once was a serial card installed in this unit. 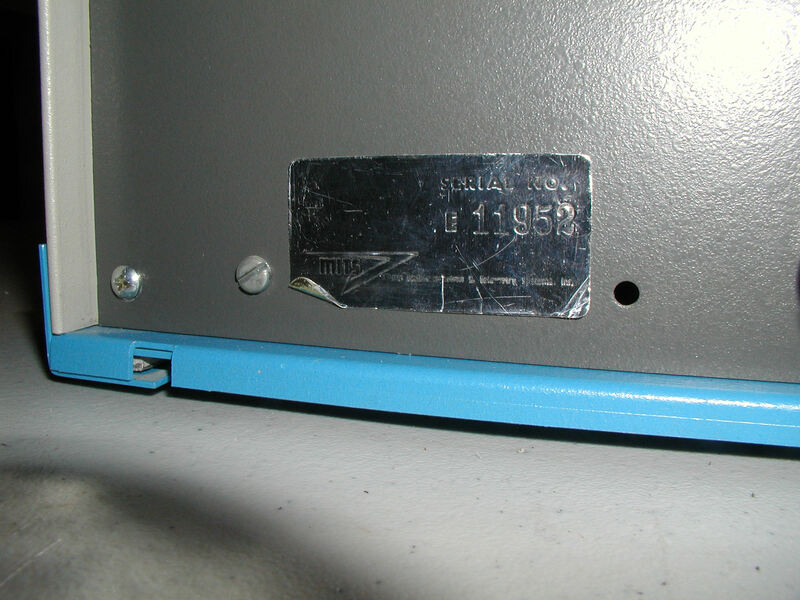 MITS Altair 680 serial number E11952. 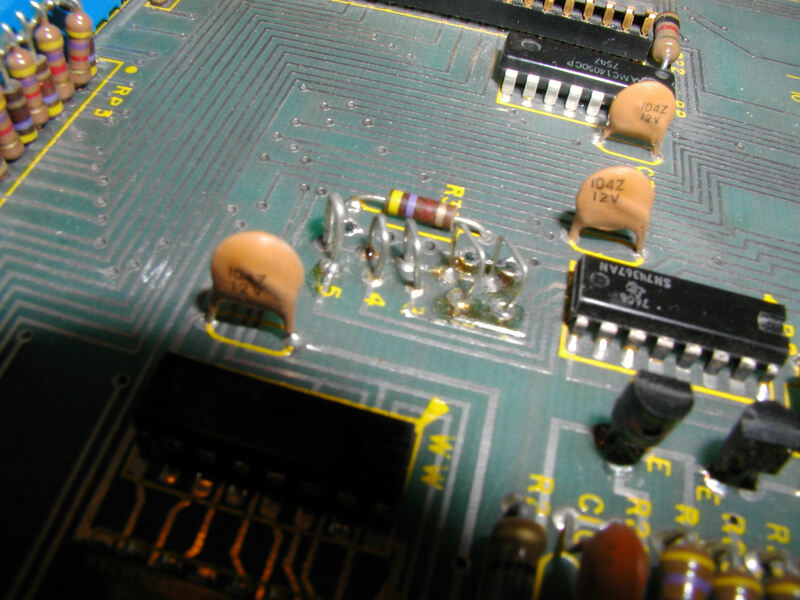 2/15: I am currently researching for a way to toggle in instructions to activate the serial port, and instructions to test the RAM. 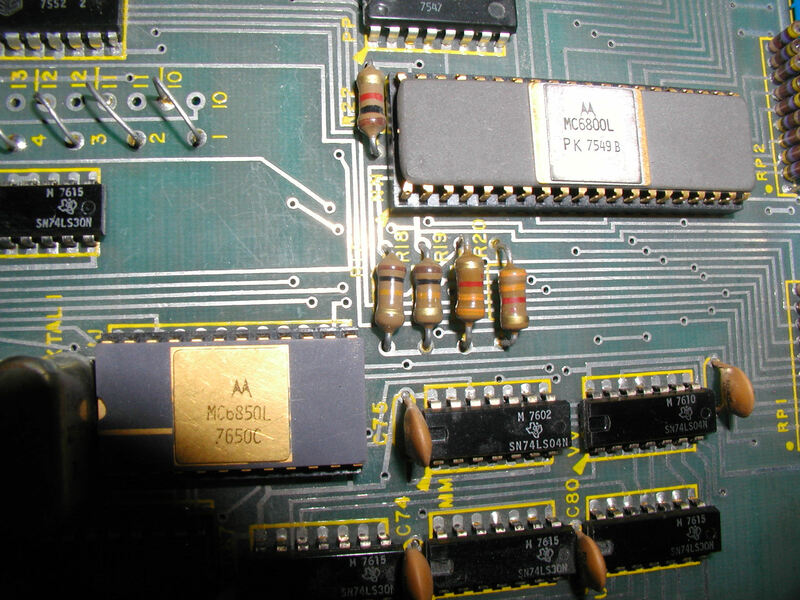 2/21: Received ACIA prom from Steve Shepard. 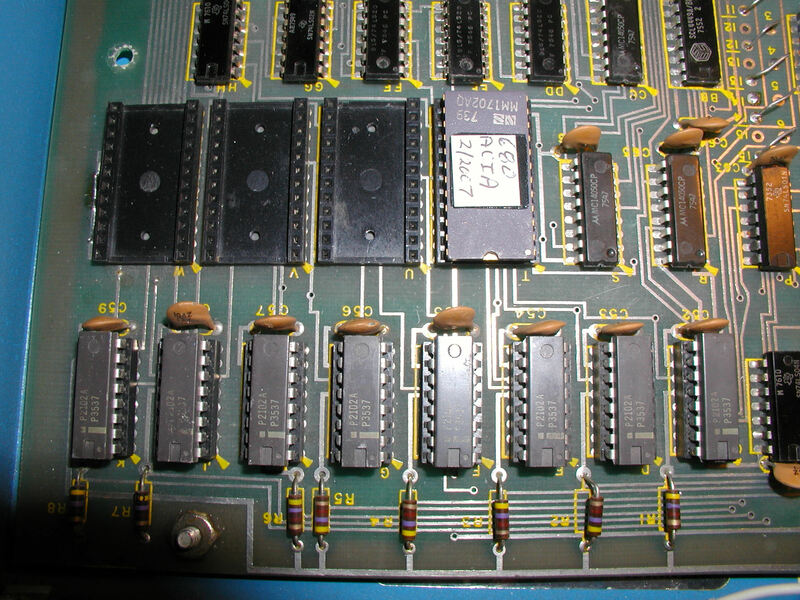 2/25: Referring to ACIA Monitor Manual set memory for FF02 to start monitor. 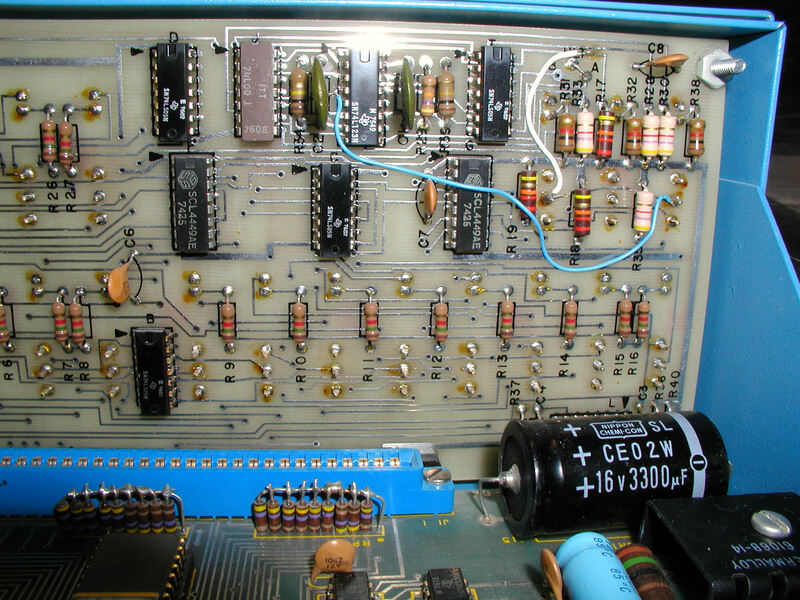 With help of Steve Shepard learned how to toggle through FF00-->FF0D to compare lights with expected data bits. 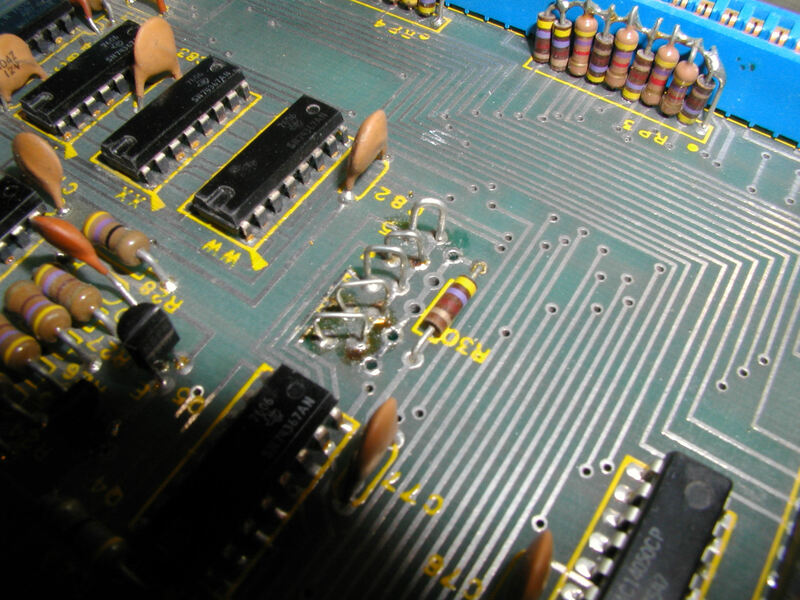 Matched. 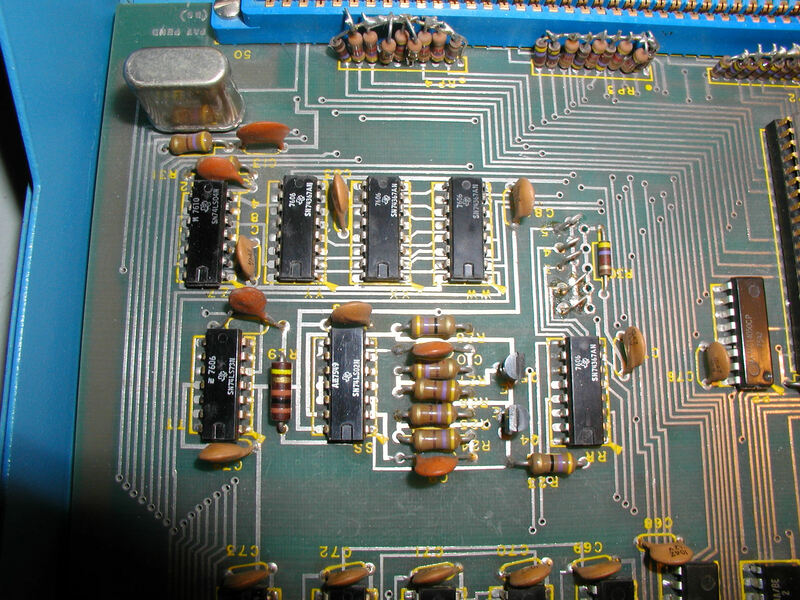 Did not continue through to FFFF. 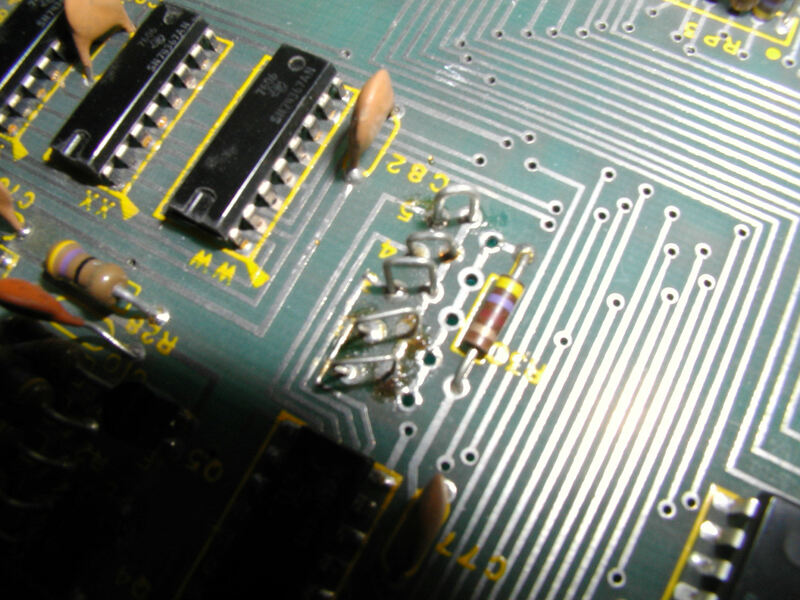 2/28: With help from Steve Shepard, learned that IC in position L, 74L123 is missing. 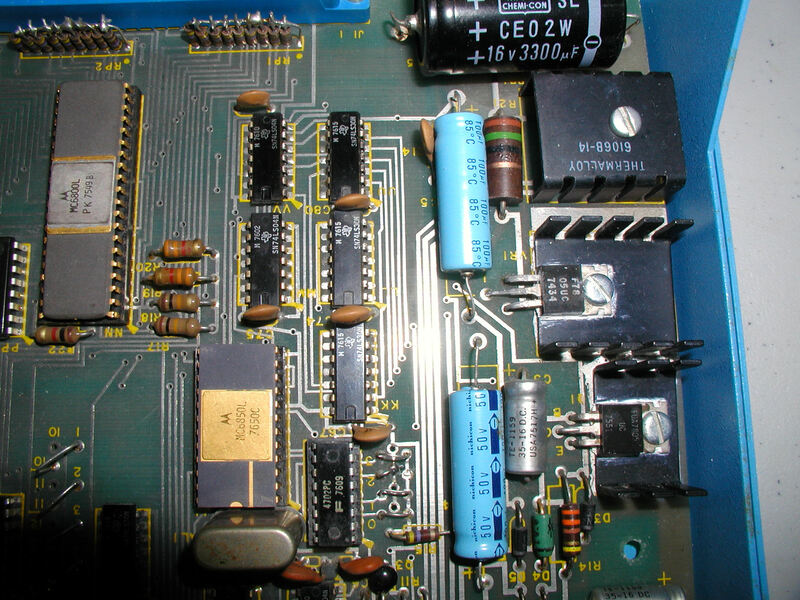 Steve suggested that I review every chip and connection to be sure nothing else is missing/incorrect. 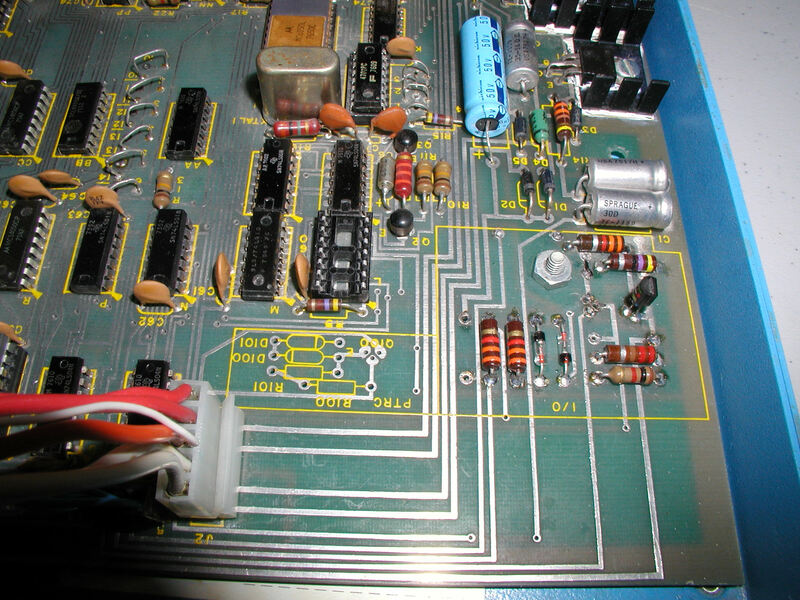 I am in the process of doing this now.